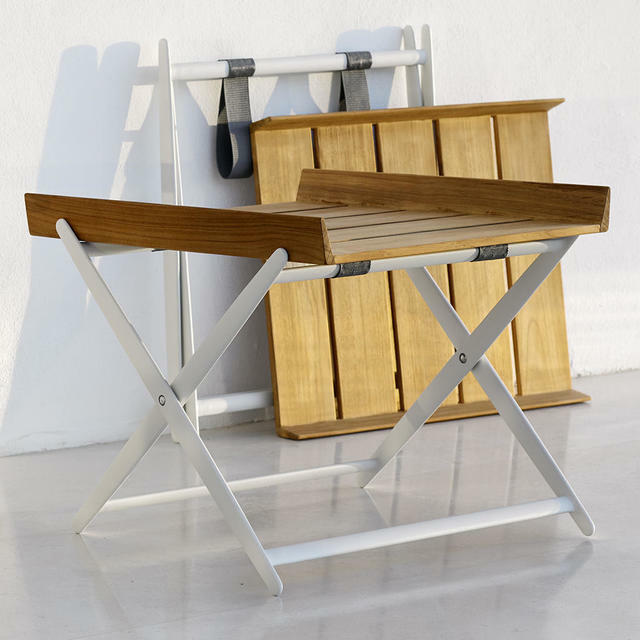 Compact folding side table for easy outdoor living. Slim, simple and stylish occasional side table for relaxed outdoor living. 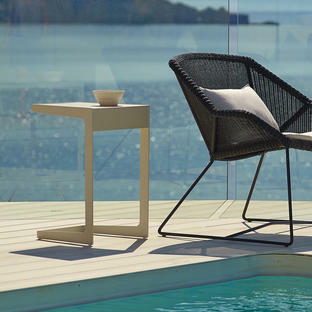 The Rail side table will accompany all the Cane-line outdoor lounge seating easily, see Encore Outdoor Lounge, or Connect Outdoor Lounge. 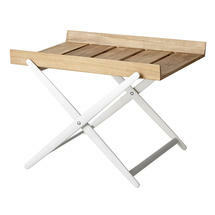 The frame is powder-coated aluminium and the top is slatted teak. 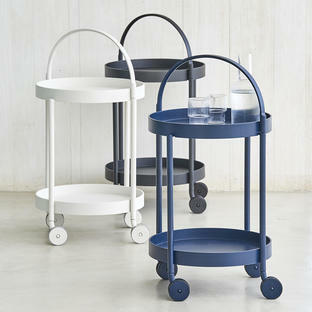 The top lifts off easily to make for easy storage if required. The frame is made from Cane-line Powder Coated Aluminium in white. The top is made from slatted, untreated, certified Cane-line Teak Wood, which is best left untreated. It will develop a beautiful grey patina over time and requires only a minimum of cleaning. Wash the furniture down from time to time to keep the wood and metal clean from dirt and grim.